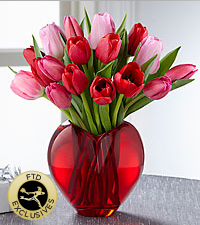 The FTD® Season of Love™ Bouquet takes a springtime approach to declaring your Valentine's Day love. 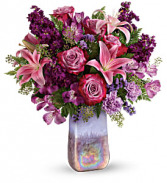 Red and pink tulips make an early, out-of-season appearance simply and elegantly arranged in a sculptural, heart-shaped vase of vibrant, ruby-colored glass. 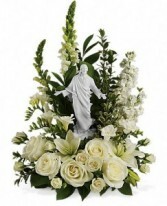 What a way to sweep that special someone, off their feet!